How bright are solar lights? What type of solar lights are there? How long do solar lights shine for? How long do solar lights need to charge for? What do I need to look out for when it comes to solar lights? When do solar lights switch on? Can you get solar lights with a motion detector? Do you need a motion detector? You can find more information and tips about solar lights here. 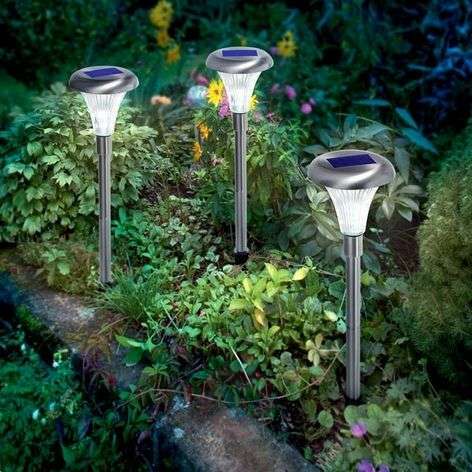 Solar lights are a great, environmentally friendly way of enhancing your garden with wonderful accent lighting. The light makes your garden safer, there is no need to lay cables in your garden and you don't need to spend ages installing the lights. And the best thing: these lights won't increase your electricity bill. They source their energy solely from the sun. 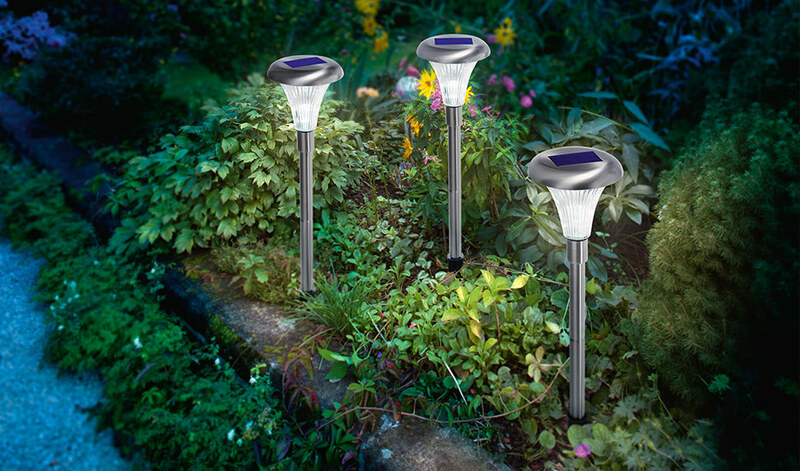 You can integrate solar lights into your garden lighting concept with ease. No electricity costs. In other words, more money for your next holiday! Automatically switch on when it gets dark. Super convenient! 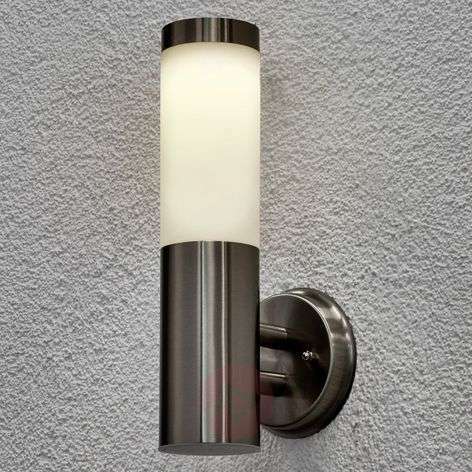 Can be used both decoratively and for practical uses: a decorative light chain or a path light? Also available with a motion detector. The height of convenience! As you can see, solar lights offer many benefits – they come in a huge range of designs and are available for the most varied applications. So what are you waiting for? 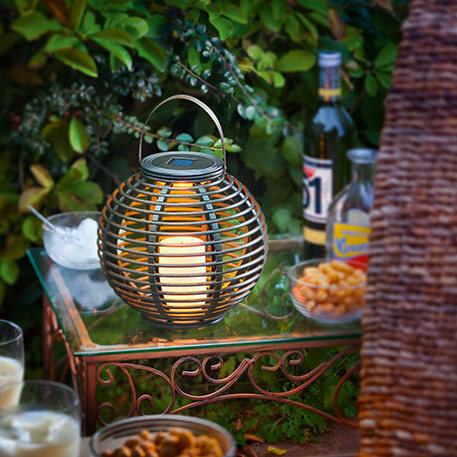 Give your garden the gift of wonderful, striking accent lighting without any additional electricity charges. 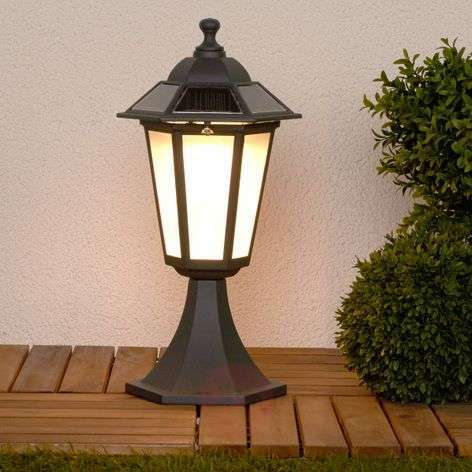 Solar lights have been available for practical purposes for a good long while now. As such, the brightness or lumen value of solar lights is extremely varied. No-one wants the decorative lights on their balcony table to light up the entire neighbourhood. Equally, subtle atmospheric lighting is not much use for a garden path. As such, brightness is highly dependent on the model. Let’s be honest, a high level of brightness is not a top priority when it comes to decorative lighting. It is, however, far more important for practical models, such as path and wall lights. And that is why these products are available with a brightness level of up to 400 lumens. However, please be aware that solar lights must be fully charged before they are able to perform at their optimal capabilities and thus, deliver the desired brightness level. The lumen value is listed for each product within the product details. It all depends on the quality of the light product. Or, more specifically, on the quality of the integrated battery and the bulb. But also on the solar energy that the light is able to capture from the sun throughout the day. Light duration ranges from five to 20 hours. Generally speaking, it is around eight to ten hours for most solar lights. Again, please be aware that solar lights must be fully charged before they are able to perform at their optimal capabilities. The simple answer is thanks to the sun. Without the sun’s energy, solar lights don’t work. A more precise answer would be that they work thanks to the sun, a solar module, a battery and the photovoltaic effect. Solar lights work independently of the electricity network and come with a solar module and battery rather than a power cable. The solar module captures sunlight during the day and uses the photovoltaic effect to convert it into electrical energy, which is then stored in the battery. When it gets dark, the stored energy is sent to the bulb so it lights up. 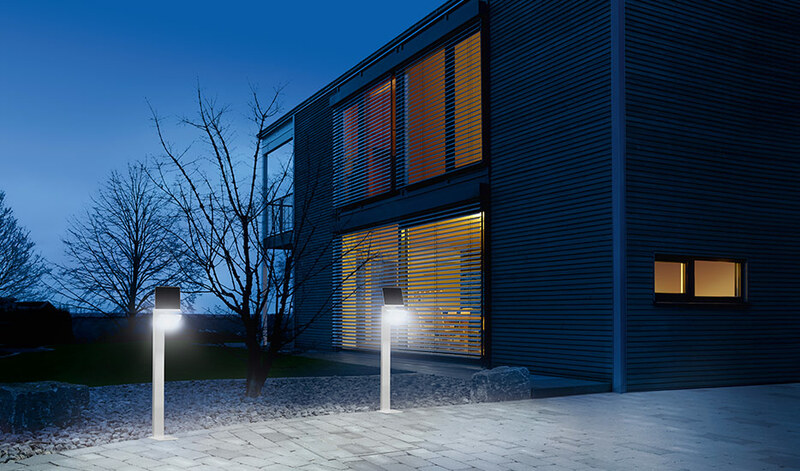 An integrated twilight sensor automatically switches the light from storage to lighting mode. The length of time it takes to charge your solar light depends on the weather and on how much sun the solar module can absorb. Is the sun shining brightly outside? Or is it overcast? Or maybe it is chucking it down and it’s unlikely that the sun will reappear today? Generally speaking, your solar lamp can store enough energy to shine when exposed to sunlight on a lovely, sunny day. You may need a little patience in the beginning. But just at the start. When you first use your solar light, the battery needs to fully charge for two days, or up to ten days when the weather is poor or overcast. You just have to be patient! This ensures that the device and its technology can provide the maximum battery power. Tip for winter: As many solar lights are not suitable for winter use and the sunlight is generally not sufficient to properly charge the light, it makes sense to keep your solar light indoors during the colder months. 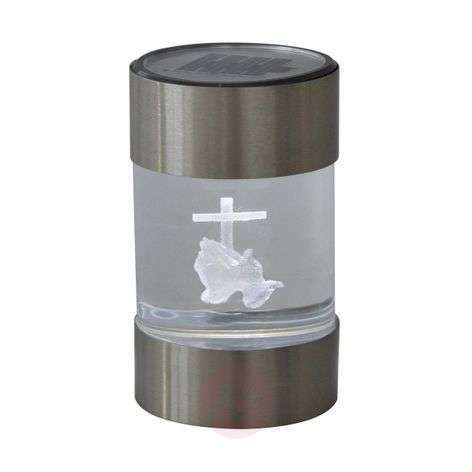 This will protect your light and the battery from frost and other adverse weather conditions. When the sun goes down. Most solar lights don't need to be switched on to light up. 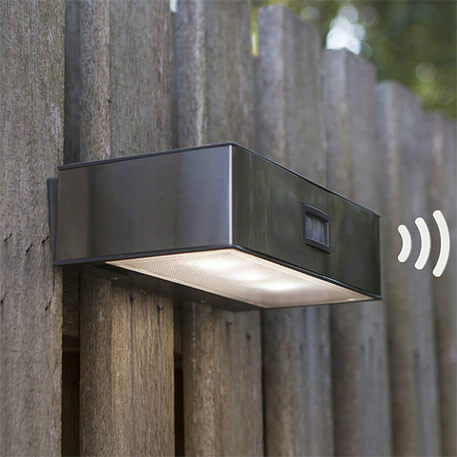 As soon as it gets dark, the integrated twilight sensor causes them to illuminate. Please note: External light sources, such as other garden lights or street lighting, may interfere with the solar light. Artificial lighting may cause the sensor to fail to turn the solar light on due to the brightness of the local conditions. In addition to a twilight sensor, most solar lights also come with an on/off switch. Whatever the conditions, you can always turn the light on and off! Yes, of course. 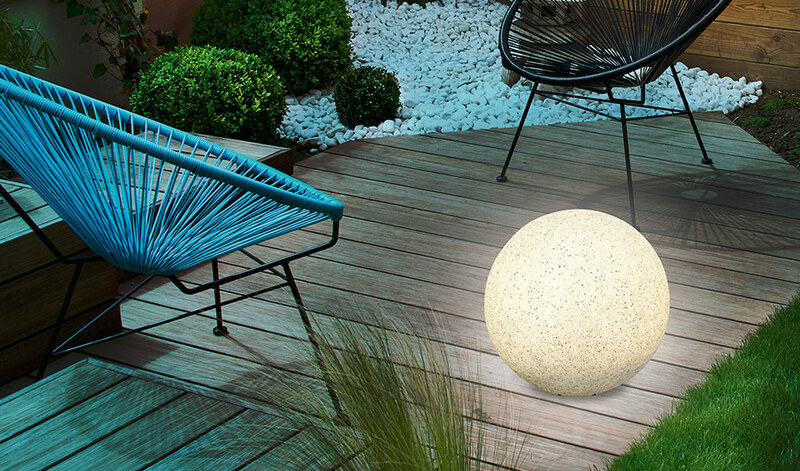 This is because, in addition to illuminating jam jars on the garden table, solar lights are also highly practical and can be used as path or wall lights, for example. And in these cases a motion detector is an extremely practical feature. The light only shines when someone is standing on the doorstep or on the garden path or driveway. It doesn’t shine when there is no-one nearby. This saves the battery and the service life of the bulb. And, if the light lasts longer, you once again save money and do your bit for the environment. Please make sure that your bushes, plants and flowers don’t grow over the motion detector. It can inhibit the functionality of the light. Always keep plants a sufficient distance from the light.